Our oceans are home to countless, amazingly diverse beings. Fish can recognize other individuals, keep track of complex social relationships, and work cooperatively with other species. As with other sentient animals, fish also feel pain, fear and stress. However, their differences to land animals can make it difficult for humans to readily empathise with aquatic species. A study published in the journal Science predicted that if fishing rates continue unchanged, we could see the collapse of ocean fisheries by the year 2050. An important argument against eating sentient animals is that they have the capacity to feel pain. Land animals often react in ways that seem obvious they are experiencing discomfort, whether by loudly vocalising, biting or trying desperately to escape. However marine animals don’t necessarily react in ways that are familiar to us, which has lead many to assume they don’t experience pain as we do. For people who are empathetic to animals it may seem obvious that fish feel pain. However for science to maintain its objectivity, experiments are a way to avoid anthropomorphism (the assumption that animals think, feel or behave as humans do) and provide a rational foundation for belief. NOTE: We don’t condone inflicting pain or discomfort on animals for any reason and believe there are creative work-arounds for every situation; but we will refer here to some experiments that have been important in changing attitudes within the scientific community. Until recently, there was much conjecture amongst marine biologists as to whether fish experienced pain. However there is now a majority consensus that fish can indeed feel pain and stress, and will actively avoid such situations. In one study, a group of rainbow trout were given injections of acetic acid in their lips while a control group received ordinary saline injections. Lynne Sneddon is a University of Liverpool biologist and expert in the field of marine biology. She conducted an experiment wherein fish were given the option of two tanks to live in: one tank was barren and empty, while the other was enhanced with gravel, a plant and a view of other fish. The fish consistently chose to spend time in the enhanced tank. However when the fish were injected with an acid, and pain-relieving lidocaine was added exclusively to the barren tank, they changed their preference to live in the barren tank. 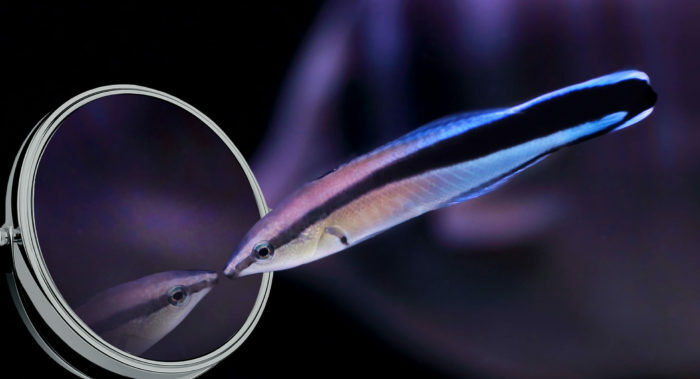 Researchers placed mirrors in the tanks of fish of the cleaner wrasse species and observed that initially some of the fish behaved as though another fish was in the tank. Over time however, the fish began to act strangely, swimming upside down or spreading their fins and quivering in front of the mirror. The scientists then injected a coloured mark into the throats of the fish under anaesthesia. There was no change in their behaviour… until the mirrors were reintroduced into their tanks. Three out of four fish then seemed to pose in front of the mirror to get a better look at the mark and then began to scrape their face on the ground, presumably to try to remove the mark. It is not uncommon for researchers to ‘move the goalposts’ when results fail to align with their preconceptions about what a species may or may not be capable of. Fishless oceans – is that possible? In a 2006 study published in the journal Science, researchers theorized that every species of wild-caught marine animals used for food would be virtually depleted by 2050, stating that 90% of the populations of each species would disappear due to sustained fishing. The removal of such important participants in the marine environment on such a massive scale will naturally affect the remaining species, plant life and ocean in a drastic manner. 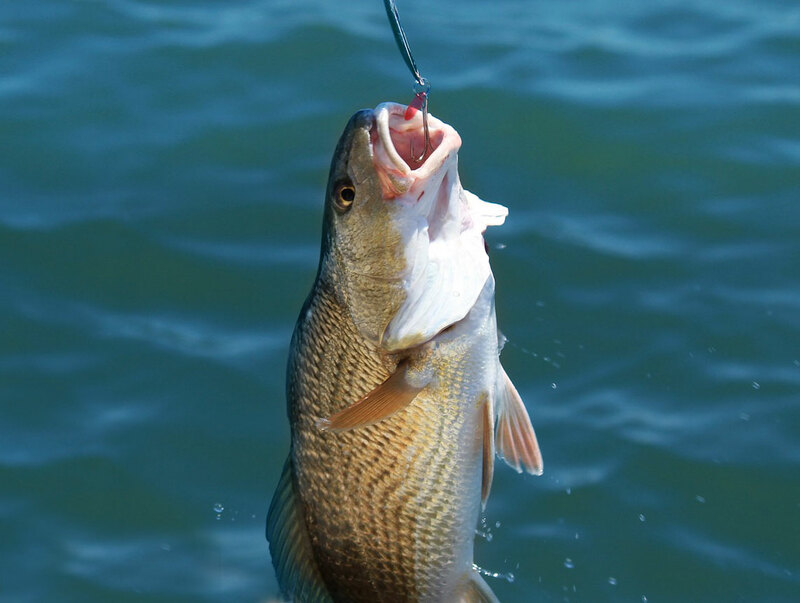 By-catch refers to fish and other marine animals who are unintentionally caught as a side-effect of commercial fishing. These include turtles, sharks and dolphins, who often become entangled in the vast fishing nets used by large-scale fishing operations. Every year 27 million tonnes of by-catch marine animals are killed by the fishing industry. ‘Less’ suffering and death is not an acceptable trade-off. To every individual, regardless of species, their own life is precious. Would you be willing to sacrifice your own life for something as frivolous as someone enjoying how you tasted? The vast majority of humans do not live in an environment where eating animal products is the only option for survival.